Looking for the best WordPress XML sitemap plugins? It is quite frustrating to select a sitemap plugin on WordPress especially when you are new to this platform or to the SEO. I have compiled a list of top best free WordPress XML sitemap plugins which you can use to index your website faster in search engines. Sitemap won’t directly help your website rank better in search results pages. However, by using XML sitemap you are giving search engines a chance to index all the pages. More indexed pages increase the chance of showing up more frequently on Google search. An XML sitemap provides information to search engines which pages on the website are available to crawl. It makes the job of search engines easier to understand your website structure, and it will get indexed faster in search engines as well. You can notify search engines which pages are needed to be crawled and indexed in search results. Your XML sitemap will notify search engines whenever you modify the website. Here are some of the best XML sitemap plugins which you can use on your WordPress website and forget about sitemap issues forever. Check out my latest WordPress SEO guide to have a better understanding of SEO. In my opinion, it is one of the best WordPress XML sitemap plugin available for free in the WordPress plugins directory. It has tons of features to optimize your sitemap. These options come handy especially when the website has an enormous amount of pages and posts. In that scenario, it would be difficult to manage your XML sitemap. Playing with some of these options will give you an idea where and how to use those features. Also, you can read comprehensive plugin documentation on the plugin author’s website. For most small business websites, I don’t think there is a need to use those features in the sitemap plugin. You can install this plugin from WordPress plugins directory, activate it and copy the URL and submit XML sitemap to Google Search Console. Another great WordPress SEO plugin that can help you fix SEO issues as well as creating a sitemap. You can use multiple features in this plugin. 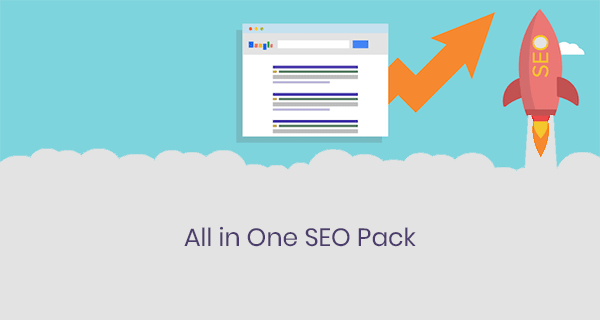 To create an XML sitemap in All in One SEO Pack, you need to first install this plugin from WordPress plugins directory. After that, go to plugin menu icon on the right side-bar menu. Select Features Manager and in the XML Sitemap tab, click on the Activate button. You can now copy sitemap URL and submit it to Google Search Console, Bing, or anywhere you like. Yoast SEO is a great WordPress SEO plugin. You can use Yoast SEO plugin features to optimize many things. It is one of the most popular WordPress SEO plugins. Install this plugin from the WordPress plugins directory. Go to SEO, then Dashboard. It will open up a new page. Here you need to Enable the Advanced Settings Pages option. On the right-hand sidebar, you will find XML Sitemaps under the SEO menu. By going to this page, you can enable the sitemap. Yoast SEO will give you a URL of the newly generated XML sitemap, which you should submit to Google Search Console. Now that you have created an XML sitemap, you should submit it to Google Search Console. Access your Google search console property. Click on Search performance > sitemap, and only enter the last part of sitemap URL in this box. E.g, if your XML sitemap URL is example.com/sitemap.xml, then you only need to enter Sitemap.xml in Google Search Console. Give it some time and check back after a week. Google Search Console will start updating how many URLs got indexed and submitted. If you want to learn how to use Google Search Console more efficiently then check out this Google Search Console guide. I hope you like this article. Which WordPress SEO plugins do you use to optimize your websites? Let me know in the comments below. If you want to hire someone to improve SEO and configure SEO plugins, then you can also check out my SEO services.